The Green Christmas Bauble is a beautiful tree decoration reproducing a globe featuring countries in different colours and green seas. Details include country names, international boundaries, main rivers and International Date Line. 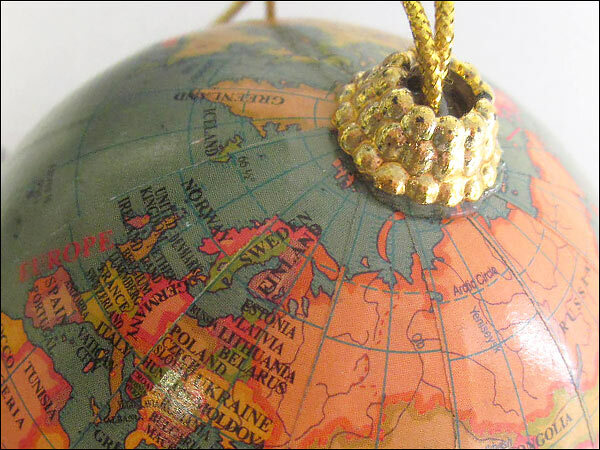 The mapping itself should not be taken as a work of precision; however, the little globe still offers a fairly good representation of the world. 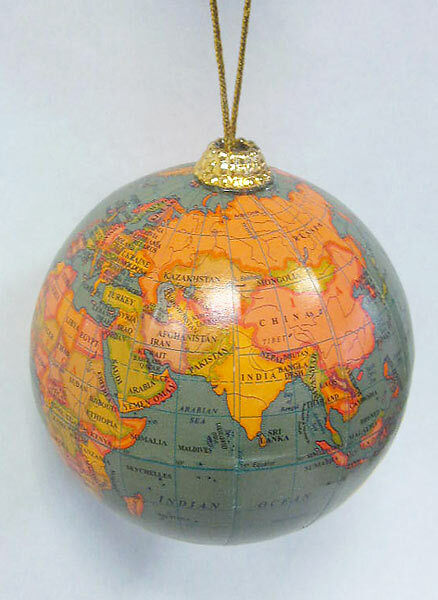 This bauble makes a really lovely, colourful and unusual decoration for any Christmas tree.